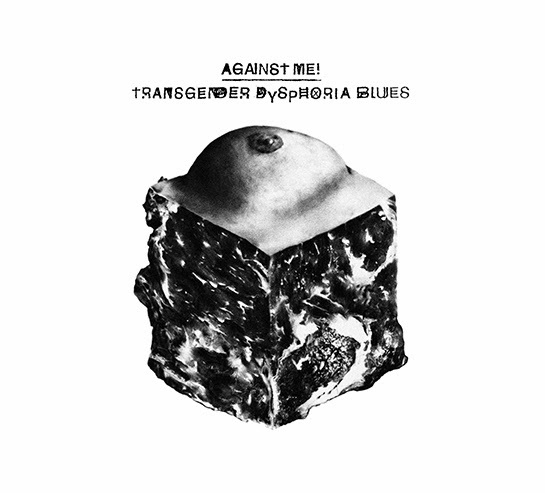 The bracingly political Florida punk band Against Me! has been a going concern since 1997, but Transgender Dysphoria Blues can't help but feel like a debut: It's the group's first album since singer Tom Gabel came out as a woman. Now named Laura Jane Grace, she still barks her lyrics with fiercely assertive intelligence — with a voice as yet largely unchanged from the one in the band's earlier work — but Against Me! 's subject matter can't help but be turned on its head. It's right there in Transgender Dysphoria Blues' title that Against Me! intends to address Grace's new identity upfront: This is a coming-out record first and foremost, from its opening line — "Your tells are so obvious / shoulders too broad for a girl" — through songs that channel her fears and characteristic defiance. At times joltingly profane, Transgender Dysphoria Blues doesn't let up for 29 brisk minutes, but real tenderness and vulnerability surfaces in the melee. In "Unconditional Love," Grace repeats the self-lacerating line, "Even if your love was unconditional / it still wouldn't be enough to save me" — a terrifying and revealing notion, even as Grace remains by all accounts happily married to her wife. You have a lot of cool stuff here. I found your blog from Record Fiend (which seems dormant). We'll be adding you to our blog list! Would appreciated if you did the same.